We are manufacturing the Antique product of Steel & Copper for the Export.We are believe in the Quality. We are manufacturing the Antique product of Steel & Copper for the Export. We are believe in the Quality. 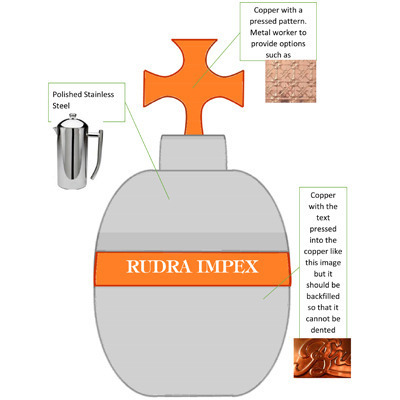 In the wake of the year 2000, we established our organization adept in the manufacture, supply and trade of Cutter Blades and Impellers, under the name RUDRA Impex. Our product range includes Endless Clear Cloth, Autocorner Cutter Blades and Murata Autocorner Spares. We make conscious efforts to match up to the demands of the consumer while providing excellent services. We take special care to maintain open ended communication with our associates to ensure an easy and unhindered flow of work. Our close coordination with all our clients in terms of product satisfaction ensures that we uphold consistently superior standard of business throughout. We succeed in meeting the demands of our clients on a regular basis due to the presence of an infallible infrastructural design. Our organization houses several strategically located departments that together function towards the production of our supplies. Each department has its own set of responsibilities that it fulfills under the supervision of a designated team head. Our warehousing division stores all the end products in an organized fashion, ready to be transported to our clients. Before transportation, all the contents of a shipment are tested for quality and functionality. Each tested product is labeled and assured for authenticity. Our success in maintaining effective communication has earned us clients across the Middle East with more than 40% export shares. We keep our clients informed and encourage receiving feedbacks about our shared experience with the products to ascertain a satisfied business relationship.